Shop online for your favourite brands and discover different products from a big variety of retailers in the UK, Italy, Poland, Germany, USA and soon Asia. Broaden your shopping horizons by exploring new markets today and have your parcels delivered to Romania at low costs. Delivery prices start from as low as 17,98 RON ! 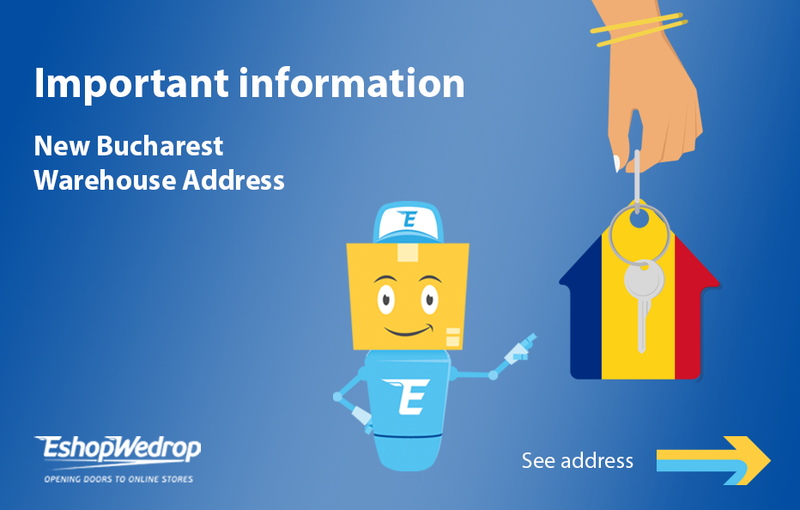 Once you receive your email notification that your parcel is in Romania, please visit your EshopWedrop Account and select the delivery option that is most convenient to you. Please enter your estimated parcel’s information to automatically calculate it's delivery cost.